Now that the umbrella of "protection" by corrupt officials and law enforcement evaporated once President Trump took office many unscrupulous officials, judges, attorneys, cops, etc. will be investigated and prosecuted . 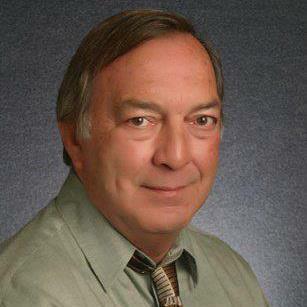 Michael Armstrong is one such dishonest, unethical, corrupt person. As San Antonio Texas Chief Technology Officer Michael Armstrong played a central, pivotal role in the ongoing RICO-like criminal conspiracy to conceal decades of public / police corruption involving tens of millions of public dollars. Armstrong joined in efforts to conceal the theft / fraud when it was reported in 2005 and retaliated against whistle-blowers in 2006.
of fraud / theft officials ( led by City Attorney Michael Bernard - brother of White House Social Secretary Jeremy Bernard ) , law enforcement, judges, attorneys, etc. conspired to conceal the RICO-like criminal conspiracy. Documents, correspondence , transcripts, depositions, recordings, audits, reports, etc. can be seen at CASTROGATE.COM. 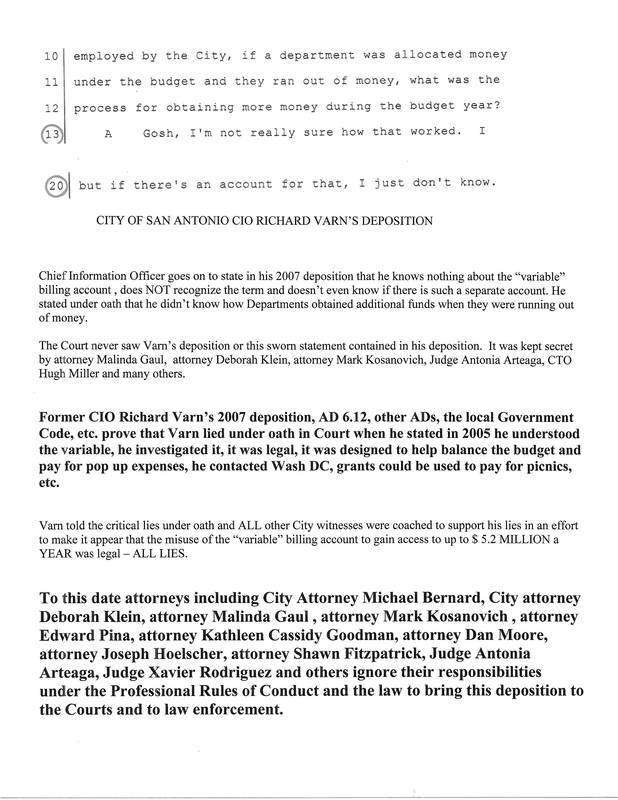 Under oath in Court City of San Antonio CIO Richard Varn was coached by Miller, Klein and Kosanovich to present known false testimony in an effort to conceal decades of public/police corruption involving tens of millions of public dollars. 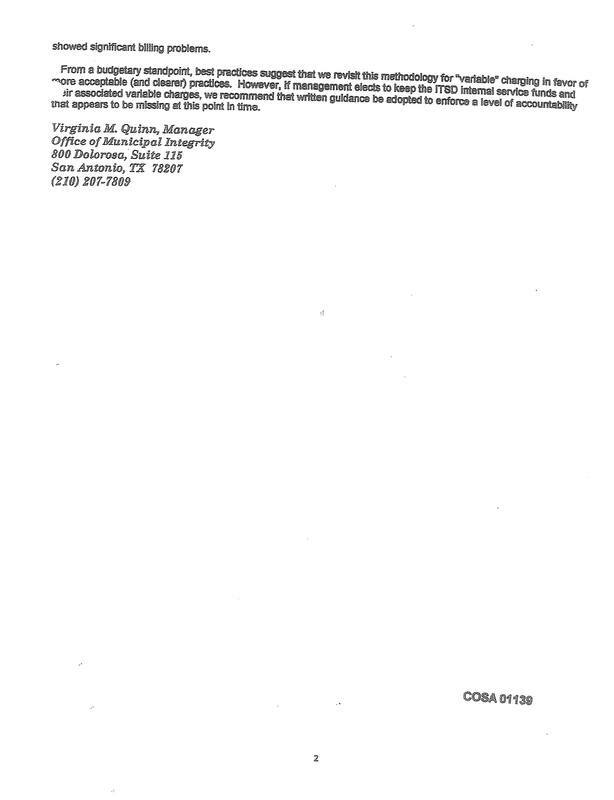 They concealed Varn's deposition where he stated under oath that he didn't recognize the term "variable" and knew nothing of any such account so under oath in Court Varn could present the critical false testimony stating that he investigated the variable and found nothing illegal. 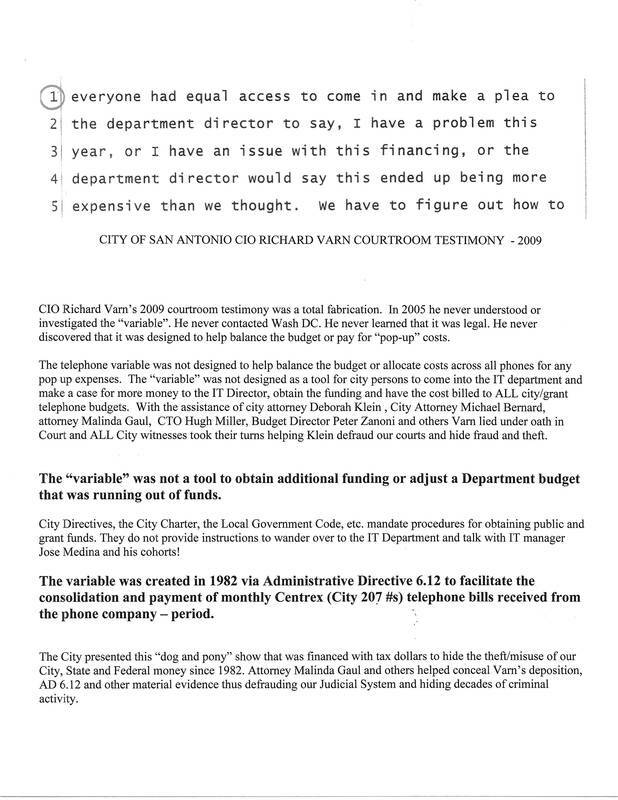 Varn presented the false testimony that the variable was created to help balance the budget and pay for "pop-up" costs - all lies. . Other city witnesses used Varn's lies to build their false testimony that was presented under oath to the Court. Miller also presented well-rehearsed, coached, false testimony under oath in Court supporting Varn's lies. Miller, Judge Arteaga, attorney Klein, attorney Gaul, attorney Bernard, attorney Kosanovich and others have concealed Varn's deposition, AD 6.12 and other material evidence for eight years. Richard Varn replaced CIO Michael Armstrong and continued efforts to conceal the criminal conspiracy. 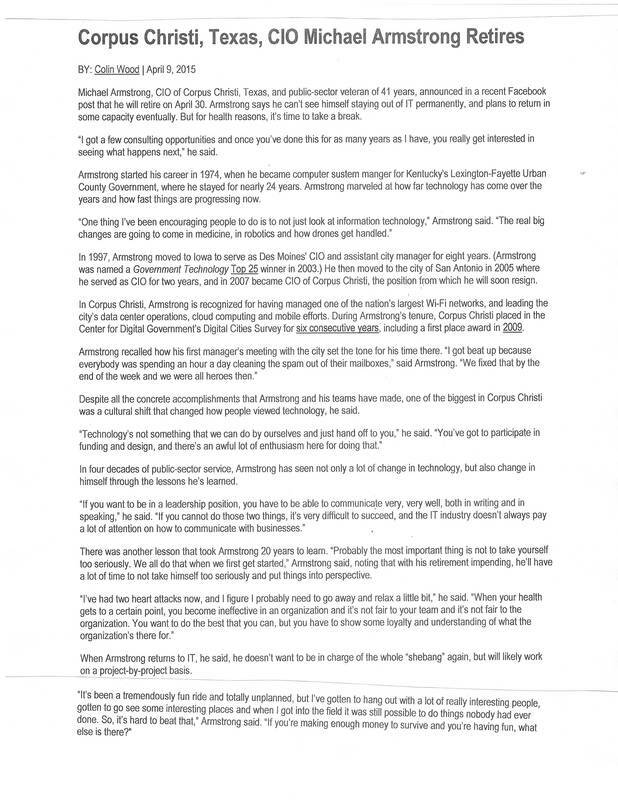 In 2009 Varn provided false testimony to the Court stating that it was legal for Department Directors to wander over to the IT Department and pick up millions of dollars with no public input, no Council vote, no Finance department approval, etc. ...all lies. 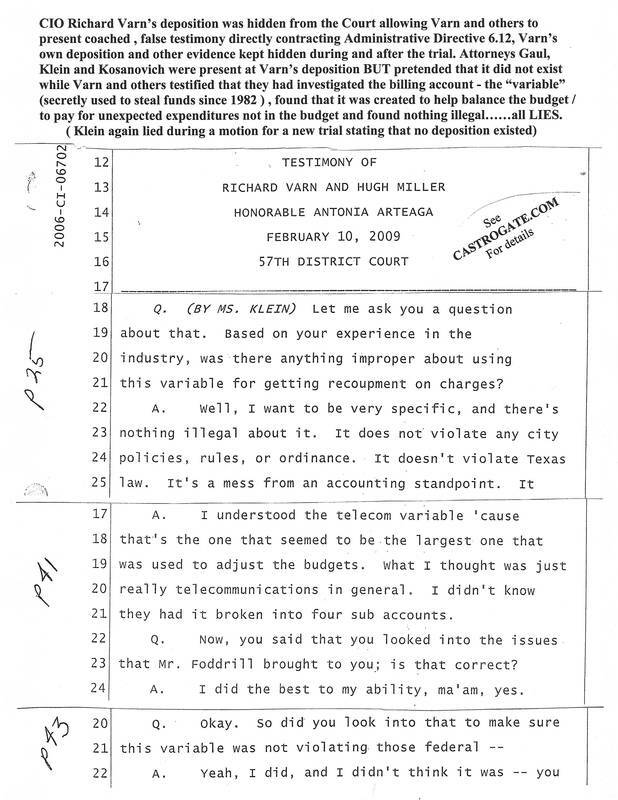 In Varn's 2007 deposition that was kept hidden from the Court and for the past eight years he states under oath with attorney Gaul, attorney Klein and attorney Kosanovich present that he knows nothing about City budget processes of obtaining funding if money ran out and knew nothing of any account used for this purpose....In 2009 under oath in Court ALL attorneys including Malinda Gaul concealed Varn's deposition thus allowing him to testify that it was legal for Department Directors to wander over to the IT Department and obtain millions of dollars over the past several decades ...a LIE. 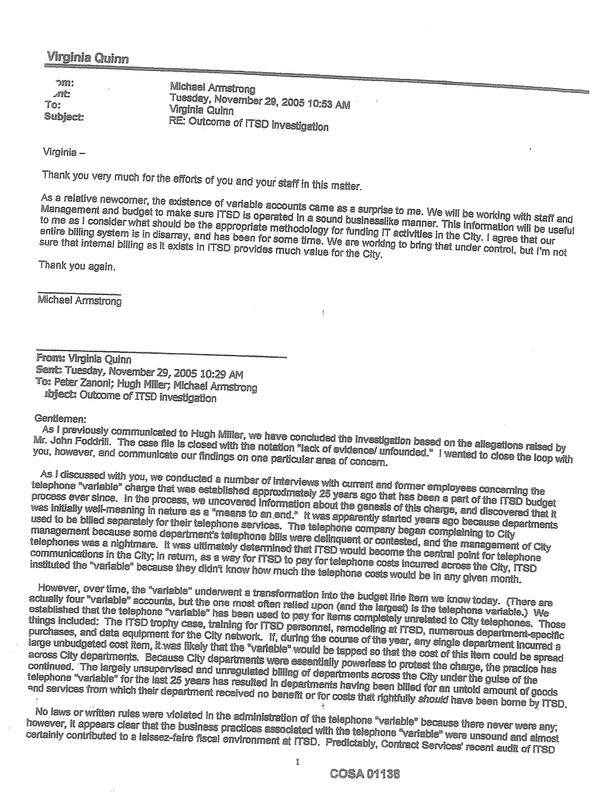 In 2005 CIO Michael Armstrong knew that the "variable" billing account had been illegally used to siphon funds from Private, City, County, State and Federal Budgets. He helped Budget Director Peter Zanoni, CTO Miller, Municipal Intercity Manager Virginia Quinn and others conceal the criminal activity, helped halt internal investigations, helped hide documentation and retaliated against whistleblowers.